The Project Gallery, in collaboration with the Museum of Contemporary Art Chania - "Elaiourgeion", presents the group exhibition of contemporary art "Welcome - The European Hospitality and its Borders", curated by Megaklis Rogakos and Ioannis N. Archontakis. 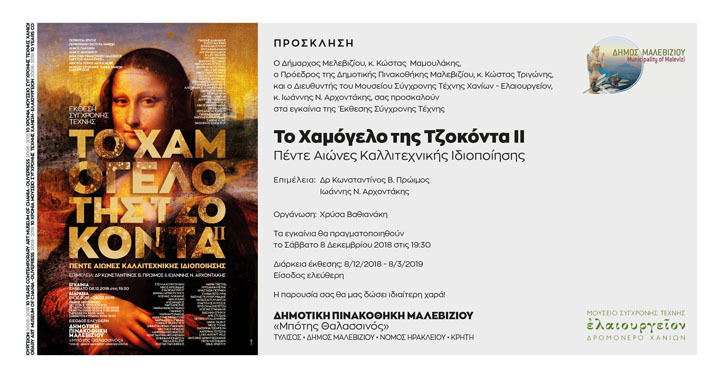 The opening of the exhibition will take place on Saturday, May 11, 2019, at 19:00, in the rooms of The Project Gallery, 14, Theater Square, Athens, Greece. The exhibition will be open from Tuesday to Friday 11: 00-18: 00 and Saturday 11: 00-16: 00 until Saturday, June 8, 2019, with free admission. 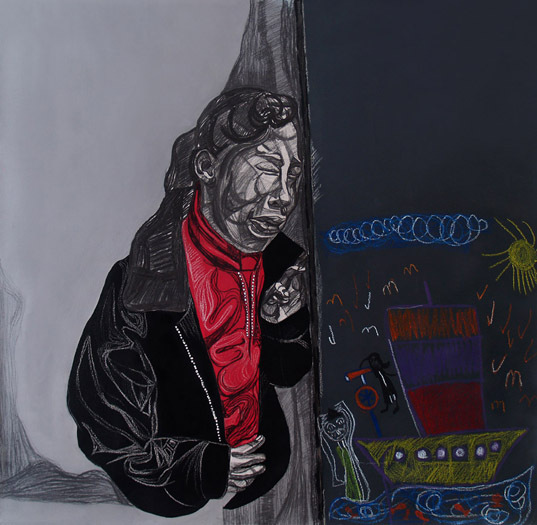 The exhibition includes the following artists: Sofia Vlazakis, Alexandros Voutsas, Nikos Giavropoulos, Cris Gianakos, Elli Griva, Lydia Dambassina, Yiannis Dilinos, Maríva Zacharof, Antigoni Kavvatha, Michalis Kalaitzakis, Nikos Kryonidis, Alexandros Maganiotis, Yiannis P. Markantonakis, Dimitris Merantzas, Alkistis Michailidou, Maria Mikhelioanni, Nicholas Moore, Chariton Bekiaris, Lambrini Boviatsou, Eleni Mylona, ​​Barbara Knight, Lena Dimova, Petros Xenakis, Antonia Papadzanaki, Konstantinos N. Patsios, Eleni Pavlopoulou, Marina Provatidou, Natasa Poulantza, Miranda Skylouraki, Rena Stollenwerk, Giorgos Tseroni, Konstantin Fischer and Dionysios Frangias. I have the honor to participate in the Fine Arts exhibition "The Smile of Mona Lisa II FIVE CENTURIES OF ARTISTIC APPROPRIATION", held at the Municipal Gallery Malevizi "Botis Thalassinos" in Tylisos. Wednesday 10: 00-14: 00 & 17: 30-20: 00, Thursday 9: 00-13: 00 & 17: 30-20: 00, Friday 10: 00-14: 00, 15:00 with Free Entrance.